The Primeval Beech Forests of the Carpathians and the Ancient Beech Forests of Germany are a serial property comprising fifteen components. They represent an outstanding example of undisturbed, complex temperate forests and exhibit the most complete and comprehensive ecological patterns and processes of pure stands of European beech across a variety of environmental conditions. They contain an invaluable genetic reservoir of beech and many species associated with and dependent on these forest habitats. The Ancient and Primeval Beech Forests of the Carpathians and Other Regions of Europe are indispensable to understanding the history and evolution of the genus Fagus, which, given its wide distribution in the Northern Hemisphere and its ecological importance, is globally significant. These undisturbed, complex temperate forests exhibit the most complete and comprehensive ecological patterns and processes of pure stands of European beech across a variety of environmental conditions and represent all altitudinal zones from seashore up to the forest line in the mountains. Beech is one of the most important elements of forests in the Temperate Broad-leaf Forest Biome and represents an outstanding example of the re-colonization and development of terrestrial ecosystems and communities after the last ice age, a process which is still ongoing. They represent key aspects of processes essential for the long-term conservation of natural beech forests and illustrate how one single tree species came to absolute dominance across a variety of environmental parameters. This world heritage site is serial site comprised of 15 locations spread across three different countries (Germany, Ukraine and Slovakia). 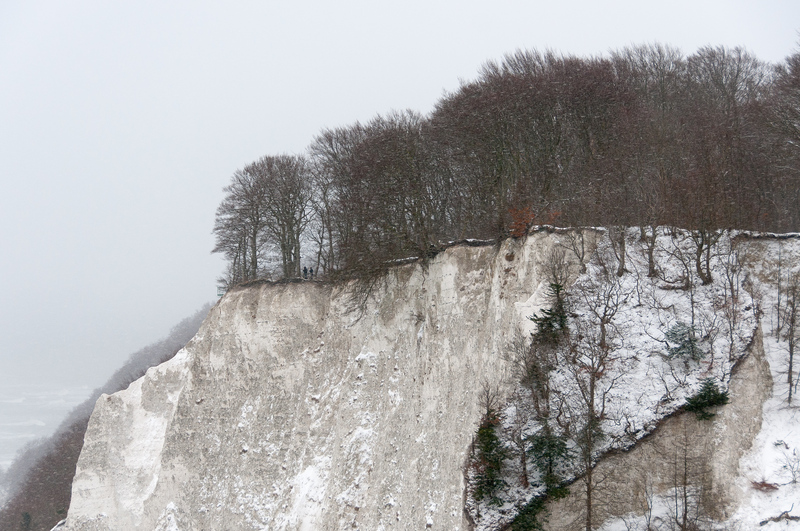 The site I visited was Jasmund National Park in Germany. Jasmund is the smallest national park in Germany and is only a 45-minute drive from the city of Stralsund. 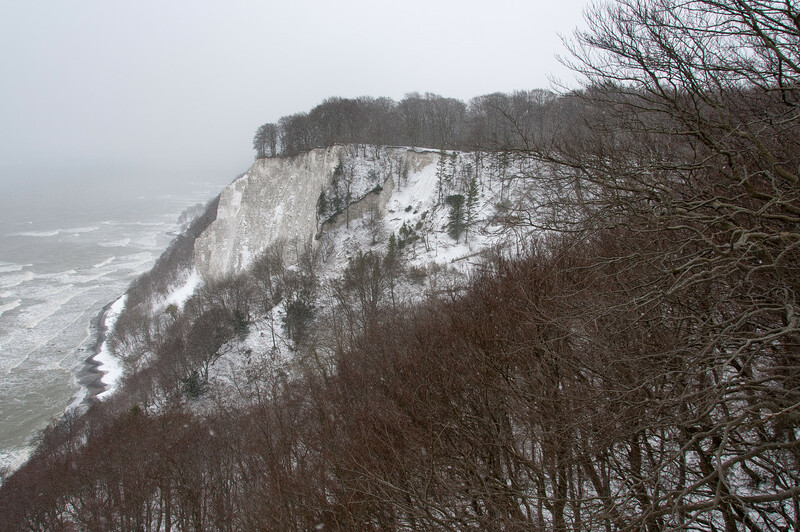 Oddly enough, although Jasmund is on the world heritage list because of its beech forests, its main attraction is its chalk cliffs which overlook the Baltic Sea. Even though the park is small, there is enough to do to make for an interesting visit. 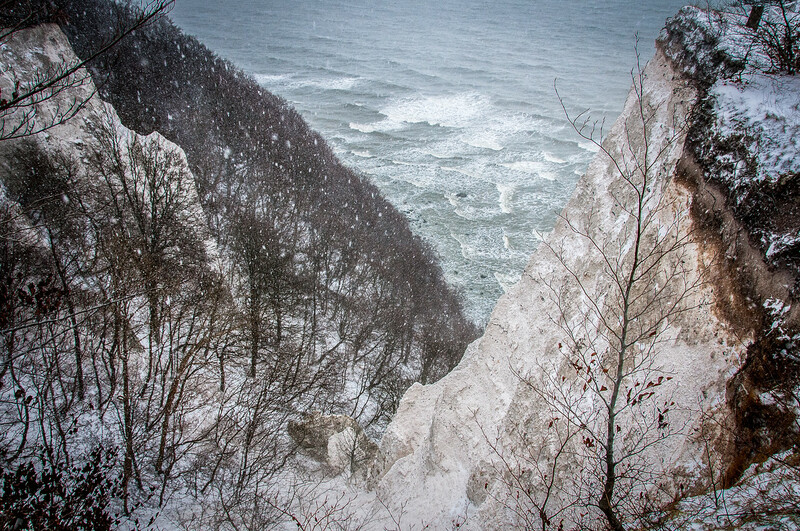 There are many kilometers of hiking trails and the visitor center is located at the chalk cliffs. There are also local municipal buses which run regularly from the nearby city of Sassnitz. 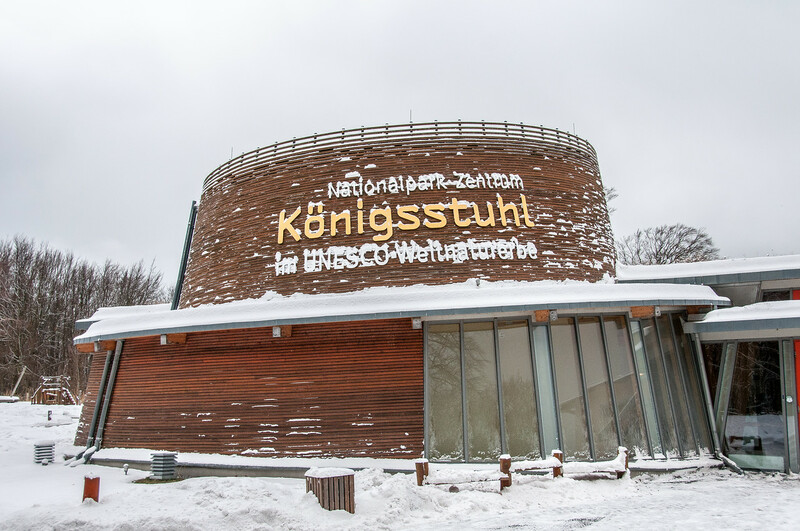 Jasmund also has one of the best interpretative centers I have ever seen. A significant amount of time, money and effort went into it. Audio tours of the center are available in German and English. The Primeval Beech Forests of the Carpathians and the Ancient Beech Forests of Germany is a transnational UNESCO World Heritage Site encompassing 12 countries in Europe. It is a natural site that was inscribed during the 41st session in 2007. The 12 countries that are comprised in this UNESCO site are as follows: Albania, Austria, Belgium, Bulgaria, Croatia, Germany, Italy, Romania, Slovakia, Slovenia, Spain, and Ukraine. This site aims to protect and preserve the largest ‘virgin’ forest consisting of the European beech. This is also home to the world’s largest and tallest beech specimens. The Primeval Beech Forests of the Carpathians and the Ancient Beech Forests of Germany is made up of 10 massifs that are spread 185 kilometers along Ukraine’s Rakhiv mountains and Chornohora Ridge and ends in Slovakia’s Vihorlat Mountains. It also encompasses five different locations within Germany. The entire land area which is part of this UNESCO World Heritage Site is 77,916 hectares. However, only 29,278 hectares of that is actually a protected area. The rest are part of the ‘buffer zone’. The two major regions that comprise the Primeval Beech Forests of the Carpathians and the Ancient Beech Forests of Germany are the Presov and Zakarpattia regions. Meanwhile, 70% of this UNESCO site belongs to Ukraine. The Primeval Beech Forests of the Carpathians and the Ancient Beech Forests of Germany UNESCO site is made up of various landscapes. The features include a biosphere reserve, two national parks, and habitat controlled areas (most of this belongs to Slovakia). The two national parks that are included in this protected area consists a biosphere reserve of its own: East Carpathian Biosphere Reserve. The five German forests that are included in this UNESCO site span 4,391 hectares in land area. These forests were added as extensions to the original site inscribed by UNESCO in 2011. Meanwhile, the Poloniny National Park is where the majority of the Slovak components of this UNESCO site is located at. This park was established in 1997 and covers nearly 300 square kilometers of land area. Jasmund National Park: The modern-day Jasmund National Park is the famous subject for many artists in Europe. It is made up of chalk cliffs, beech forests, and seascapes. It is located on the island of Rugen in Germany. The clifftop on this park is inaccessible, which has greatly contributed to its preservation, and especially of the woodland areas and forest that surround it. Muritz National Park: This section of the UNESCO site is located within the Mecklenburg Lakes region. This is where the grand dukes in Mecklenburg-Strelitz would do most of their hunting in. Therefore, any other use of this forest is prohibited. The area is therefore filled with a wooden landscape made out of fens and lakes. Hainich National Park: This is another beech forest in Europe that is part of the UNESCO site Primeval Beech Forests of the Carpathians and the Ancient Beech Forests of Germany. It is located in Thuringia region and is part of a military area. This has therefore contributed to preserving the flora and fauna in the area. Kellerwald-Edersee National Park: This is another vital component of the Primeval Beech Forests of the Carpathians and the Ancient Beech Forests of Germany. It is made up of steep and rocky slopes and is located in Hessen. It is open to hikers wherein you can explore gnarled trees and other unique forest formations. The bays of the Lake Edersee also twist throughout this park resulting in fjord-like formations.